Sport is the vital part of our life. 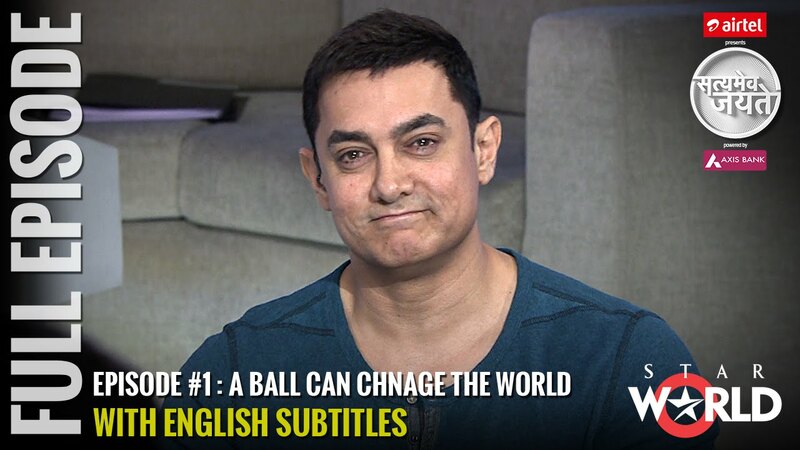 Aamir Khan had made this as a topic of his show "Satamev Jayate" 1st episode of season 3. The opening episode of Season 3 focuses on the tremendous potential of sports to bring about a change - a promise that India is yet to wake up to. Sports is generally regarded as a waste of time; from an early age children are constantly told by parents and teachers to concentrate on academics. No wonder, India lacks a sporting culture - our performance at international level events is a telling indication. But sports is about so much more than winning medals. It is about building team spirit, of learning to lose with grace and coming back to fight another day. Sports also has immense transformative potential. It helps break down barriers - of caste, religion and gender - as this episode highlights through the stories of people and initiatives that are helping to change the lives of thousands of Indians for the better. This change is possible for all of us – we just need to get out and play.